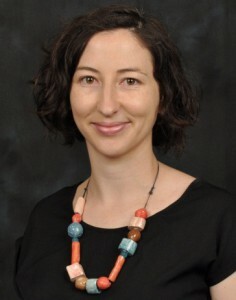 Congratulations to Freemasons Foundation Centre for Men’s Health, Early-career researcher, Dr Camille Short for being awarded the University of Adelaide’s inaugural Women’s Research Excellence Award. Camille’s research in population-based approaches to physical activity promotion, especially those utilising novel eHealth strategies, will receive support of $5000 as part of the award. The award was established to celebrate International Women’s Day, and to recognise, celebrate and promote academic women’s research excellence at the University of Adelaide. Camille was interviewed on her award and her research by Radio Adelaide on Friday the 8 May. A podcast of the interview may be found at https://radio.adelaide.edu.au/off-the-couch-norm/. This entry was posted in News and tagged award, Early career researcher, women in science. Bookmark the permalink.